Oceana (Water Elemental) – "Fine sculpture for every environment"
Our water elemental takes her name from the ancient Greek Okeanos, the spirit of the sea. 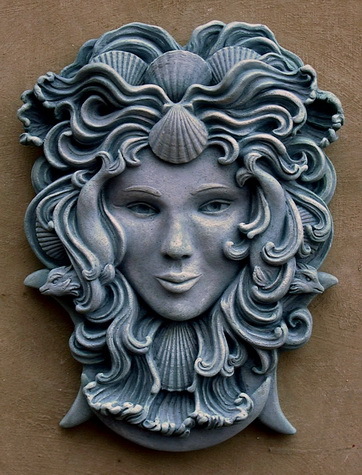 A truly lovely piece, her hair is a veritable geyser of activity and her sea-shell head-dress gives her a royal demeanor. The mythical webbed dolphins are taken from sketches done by 16th century sailors.